The fundamental lack of understanding that surrounds personal loans, and most other forms of borrowing, is often surprising astounding. The most common, yet arguably erroneous, assumption relating to them is that they’re a mark of financial failure, but this isn’t necessarily always the case. 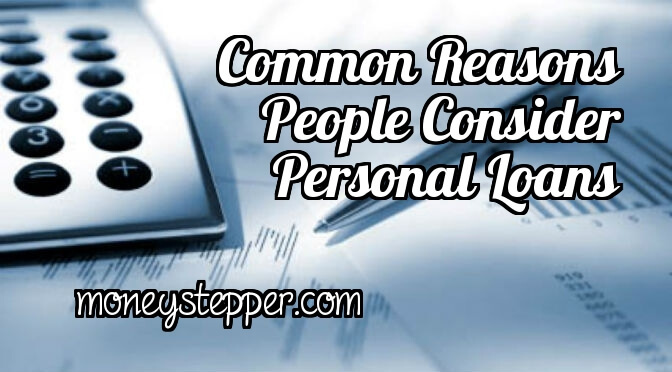 To understand this, it’s important to comprehend exactly how personal loans work. Personal loans are a borrowing tool, like credit cards, overdraft facilities, and so on. A bank or other lender, in exchange for the promise of set repayments with interest added on top, provides the funds extended to a borrower. Unlike their secured counterparts, this is not levied against a property or any other secured asset, limiting the fallout from a failure to meet repayments. One of the most common motivations for those who choose to borrow money is a desire to purchase a new car outright. Vehicles can be incredibly costly, and for those who prefer not to buy second-hand (which Moneystepper would recommend), a personal loan is often viewed as being preferable to years spent saving up for your car. Another popular reason for borrowing is a desire to carry out home improvements. Renovations are costly, and when the need to improve your house arises, it is often undesirable, if not impossible, to put off the task until you have enough money saved up to pay for it out of your own pocket. As a result, many people prefer to borrow a lump sum outright, complete their home improvements, and then cover the cost of repayments via a manageable monthly fee. This is often done by extending lending on their mortgage as this can often be cheaper than other loans available. Holidays are another increasingly popular driver for those who borrow money via a personal loan. Many of us dream of visiting a long list of bucket list destinations, or spending a few weeks in a place that we’ve always fantasised about visiting. Rather than covering this cost in one lump sum, a lot of people prefer to seize the moment, start making their plans, and then pay their costs back at a later date in fixed monthly instalments. Out of the three, I would say that number one and two are more acceptable uses for a personal loan than the third. However, if you’re dreaming of splashing the cash, would you consider a personal loan help you to achieve your own desires? Q&A 83 – What Are Debits And Credits On My Credit Card?